Days after the Cleveland Browns' running backs were called out by their position coach, head coach Mike Pettine told SI.com that the team has discussed whether it makes sense to sign Ray Rice. Rice has not played since his release by the Ravens last season after video surfaced that showed him knocking out Janay Rice, who was then his fiance, in an Atlantic City, New Jersey, elevator. Browns running backs coach Wilbert Montgomery was Rice's position coach with the Baltimore Ravens from 2008 to 2013. Pettine also was an assistant coach with the Ravens before he left in 2009 to join Rex Ryan's staff with the New York Jets. Pettine was asked by SI.com if the Browns had considered adding a veteran to the mix at running back and then specifically asked about Rice in a follow-up question. "Of course it's a natural question here because of Wilbert, and because I was with Ray when he was a Ravens rookie and know a lot of people in Baltimore," Pettine told SI.com. "Obviously Wilbert was his position coach for Ray's first six years in the league. I'm not going to say it didn't come up in discussion, but at this point we're not there yet." On Sunday, Montgomery called out the team's running backs, saying "nobody wants the role" as the Browns' featured back. Terrance West has been hampered by a calf strain, and rookie Duke Johnson missed the scrimmage and will miss the preseason opener with a hamstring problem. Cleveland's injuries have given Isaiah Crowell a chance to seize the starter's job, but neither he nor any of his running back teammates have done so. In an interview with ESPN's Jemele Hill last week, Ricesaid he remains hopeful that he can return to playing in the NFL but acknowledged that public opinion after his domestic violence incident presents a "unique" obstacle to his comeback attempt. Rice, 28, said he considers himself a "rehabilitated man" and that he has tried to convey that point to potentially interested teams. "The conversations that I had with them is more to understand the magnitude of my situation," he said. "I know that it's a unique deal, so I just try to honestly live day-to-day and stay hopeful for that opportunity." Dee Haslam, wife of Browns owner Jimmy Haslam, is on the NFL's Conduct Committee, which was formed after the Rice andAdrian Petersonincidents. Rice might also have to deal with lingering speculation that the relationship between him and running backs coach Wilbert Montgomery did not end well in Baltimore. In the 2013 season finale, Rice only played two series in the first half, the first one and the last one. Ravens coach John Harbaugh initially explained it as a decision among the offensive coaches. Five days later, the Ravens announced Montgomery would not be returning. ESPN.com's Pat McManamon and Jamison Hensley contributed to this report. 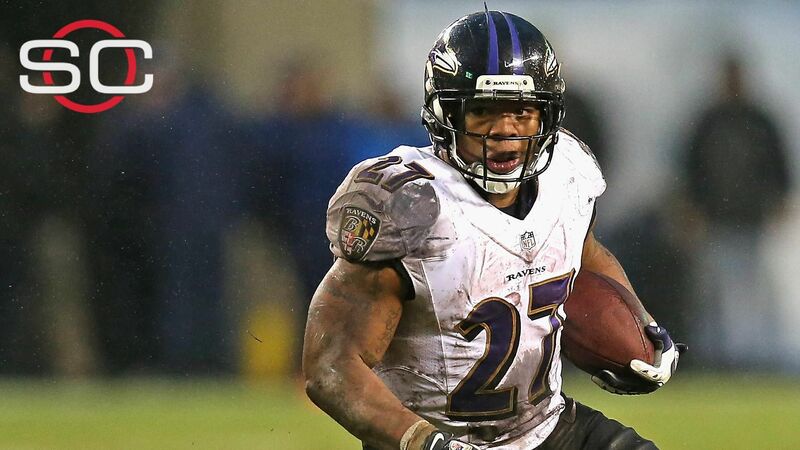 ESPN senior NFL writer Jeremy Fowler discusses why the Browns have had discussions about bringing in running back Ray Rice and what role he'd be best to fill in Cleveland. 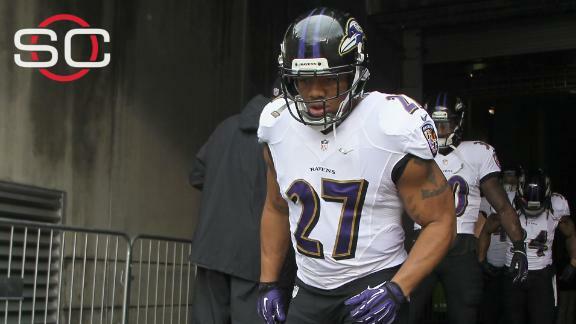 Will Ray Rice play this season? Peter King joins Pardon the Interruption to discuss the level of interest among NFL teams in signing Ray Rice.